Northboro, Mass. - Wachusett came into the season with high expectations, and so far in the early going all they have done is live up to them. 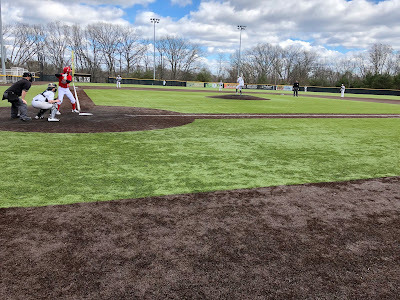 On a windy Friday afternoon, Barry Walsh threw a complete game allowing three runs while striking out eight as Wachusett defeated Catholic Memorial, 4-3, at the New England Baseball Complex in Northborough. The win improves Wachusett to 3-0 in the early going with Jake Gigliotti, Francis Ferguson, and now Walsh the key components of a premiere Mountaineers' rotation. Wachusett entered the seventh inning on top 4-1, but with Walsh looking to finish it off the Knights’ quickly threatened. JP Kelley, who homered in the second inning, lined a single to center, and Tommy Fisher dropped a double into center field to put in scoring position with nobody out. Walsh battled back to strikeout Anthony Marcano on a 3-2 fastball before inducing an RBI groundout off the bat of Dana Griffin that trimmed the Mountaineers lead to 4-2. Catholic Memorial seemed to prolong the game when Paul Guiney hit a hard groundball that caromed off Mountaineers’ shortstop Mike Maher and into left field to bring home Kelly with the Knights third run. Guiney, trying to get into scoring position, attempted to stretch the base hit into a double but was thrown out easily by Maher to end the game. The Mountaineers scored three times in the first inning without the benefit of a hit. Ferguson and Cole Durkan each worked walks and Walsh was hit by a pitch to load the bases with one out. On Knights’ starter John Mulry’s (5.1 IP, 3 ER, 2 H, 5 SO0 first offering to Eddy Beauregard, the ball skipped past catcher JP Olson and to the backstop. Olson corralled the wild pitch and attempted to throw home to a covering Mulry, but his throw too went wide and towards the first base dugout allowing both Ferguson and Durkan to cross the plate to put Wachsuett up 2-0. Moments later, Beauregard lined a sacrifice fly to center to give the Mountaineers an early three run cushion. Kelley brought Catholic Memorial a run closer in the top of the second with an opposite field solo shot to left, but Walsh settled in after that. The bulky right-hander retired nine of the next 10 batters he faced including a pair of strikeouts in the fourth inning. Wachusett added to its lead in bottom of the fifth. Kevin Skagerlind got hit and went over of third on a single off the bat of Maher coupled with a throwing error. The Mountaineers then pushed across a run via a double steal attempt as Maher was caught trying to swipe second, but as soon as Olson threw down Skagerlind broke for the plate and slid in safely to give Wachsuett a 4-1 lead. 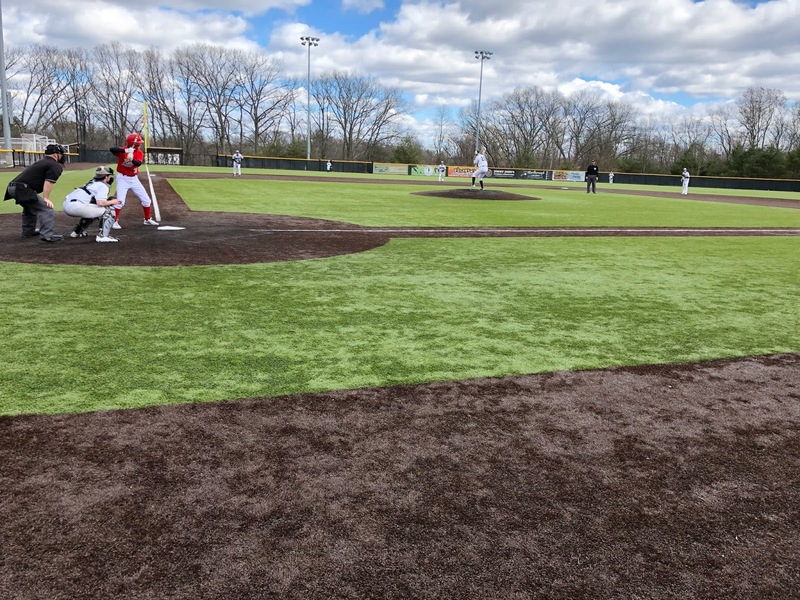 Catholic Memorial had a chance to climb closer in the visitors half of the sixth as Robert Suriel singled to left and Patrick Manning grounded a single to right. Walsh stepped up though and turned in his finest moments of his outing striking out Jack Gillis on three straight curveballs and Olson on a fastball on the black. Walsh then finished off the inning by getting a groundball to second base to end the Knights’ threat.